Only the beer and the dog ride up front! This is just sad. That's all I can really say about this. Virginia: putting safety first, eh? Don't worry. They're safe. The tailgate is up. "At least their in car seats" - You mean "they're" not "their"......they're = they are. 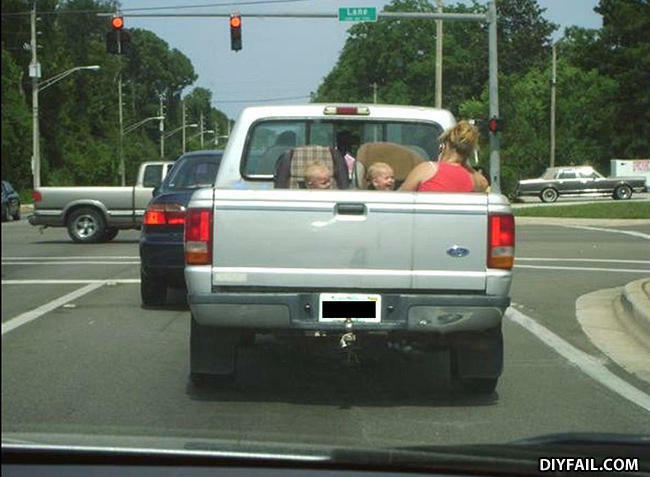 "Ok honey, the kids are safe because they have car seats" *Dad floors it "WHEEEEEE"
Whats worst than a dead baby? Whats worst than a pile of dead babies?